What’s the difference between a bow window and a bay window? Is one more expensive than the other? What is the benefit of getting a bow window? You’re in the exact right place to get answers to all these questions so scroll down to find out more! It’s not the easiest thing in the world to find bow window prices online, or anywhere else for that matter! And what about the comparative cost difference of a bow window vs bay windows? Lucky for you, this is the exact right place to find these prices. If you’re looking for the prices of bow windows, take a look at the table below. It gives you the average price of different kinds of bow windows that vary according to the number of sections they have and the material they are made in. These prices include VAT and installation costs. For a comparison of uPVC bow window with uPVC bay windows, you can refer to this table which includes VAT and installation costs. 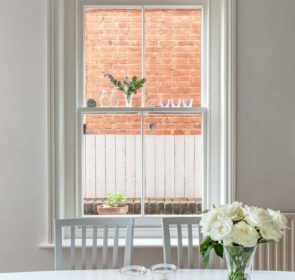 As you can see, in general, bay windows are slightly cheaper than bow windows though you can roughly estimate the same amount on your budget. This is because more panels are needed to achieve a similar shape in bow formation as in the bay window. 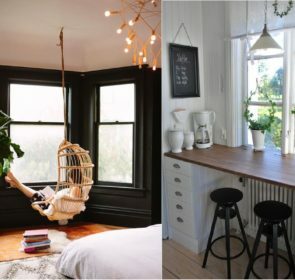 Which one you choose depends on your personal taste, the aesthetic of your home and how much space you have available. 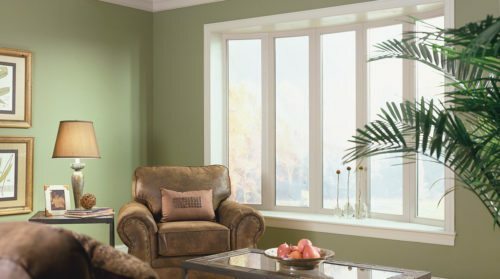 Get bow window quotes and save 40%! Bow windows can be expensive – certainly more so than regular windows, though they have many more benefits. However, you don’t need to spend all of your hard-earned cash on bow windows. Get quotes from local tradesmen to find out what your options are, and how you could save money on this big home improvement job. It only takes a minute or two and you’ll be able to compare up to 4 window providers in the comfort of your home, for free! 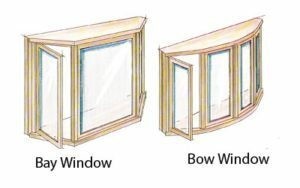 Many people wonder “what is the difference between a bow window and a bay window?” and understandably so – there are subtle differences. Bay windows are distinguished from bow windows by having sharper angles and generally fewer panels that make up their curvature. Bow windows allow for a more refined appearance than one you’d get with bay windows, because of their curved edges and soft angles. Bow windows form a gorgeous curve that extends seamlessly from your home, enhancing the beauty of your home’s exterior. The choice of bow windows ensures soft angles that match the your curb appeal, avoiding protruding corners. They are also generally designed to suit your home’s existing exterior covering – whether that is brick, stucco or a different siding material. 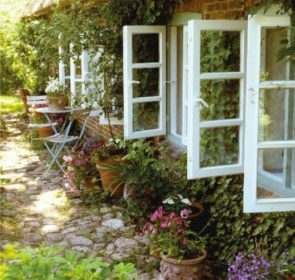 The design of bow windows means that they protrude subtly from your home with multiple panels – consisting of sash or casement windows. Bow windows benefit from more glass than bay windows, which means more natural light will flow into the room than from a bay window, for instance. 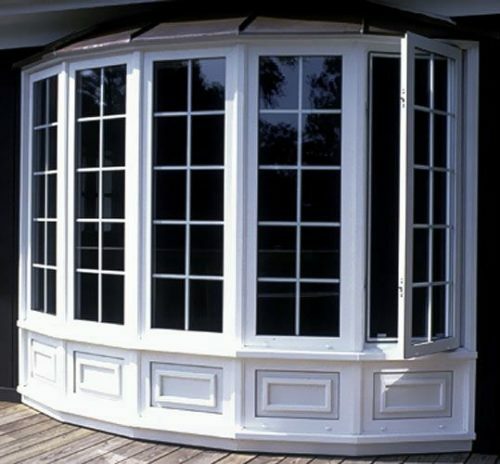 Bow windows can be endlessly customised to suit your needs. Modern and Edwardian homes alike can enjoy this elegant addition. This is because the materials, styles and finishes they are widely available in different varieties. There is a great deal of choice in how you can use your bow window too . You can create a cozy nook or more storage area, whatever you need in that particular space. The whole experience you have of your home could be enhanced with a more beautiful opening onto the world. This is what bow windows can offer you. They provide lovely views of your surroundings, increasing your exposure to the great outdoors which is always good! Your room will appear larger, you will benefit from more light and a beautiful addition to your home. Find out for yourself if bow windows are right for you! Bow windows aren’t right for every home, and you don’t want to take the plunge unless you’re absolutely certain. It’s a lot of money to spend on a mistake! Avoid this by talking to talented professionals who know their way around bow and bay windows. 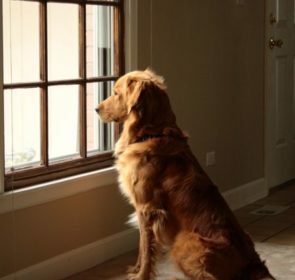 Get up to 4 quotes from trusted local window providers in a couple of minutes. Our super easy, obligation-free process means fewer headaches for you and improved peace of mind.